In thriving cities, housing and developments are shooting up rapidly. During these times, cities and developers want to be sure to adhere to public space ordinances, developers want to realize their vision and residents want great new spaces to live, work and play. Most cities in our region recognize the value parks and open spaces bring to both residents and developers, and actively manage the amount of land dedicated to those purposes. In fact, city ordinances often require developers to dedicate a percentage of land in their proposed development for public uses such as a park or recreational use. For example, Grand Forks requires 8 percent; Williston has a 6 percent requirement; and Fargo has no strict minimum requirement, but park officials use 8 percent as a guide to negotiate with developers. Bigger cities allow their Park District to use the Public Land Dedication requirement for park amenities, requiring a higher percentage of park land dedication in residential zones. 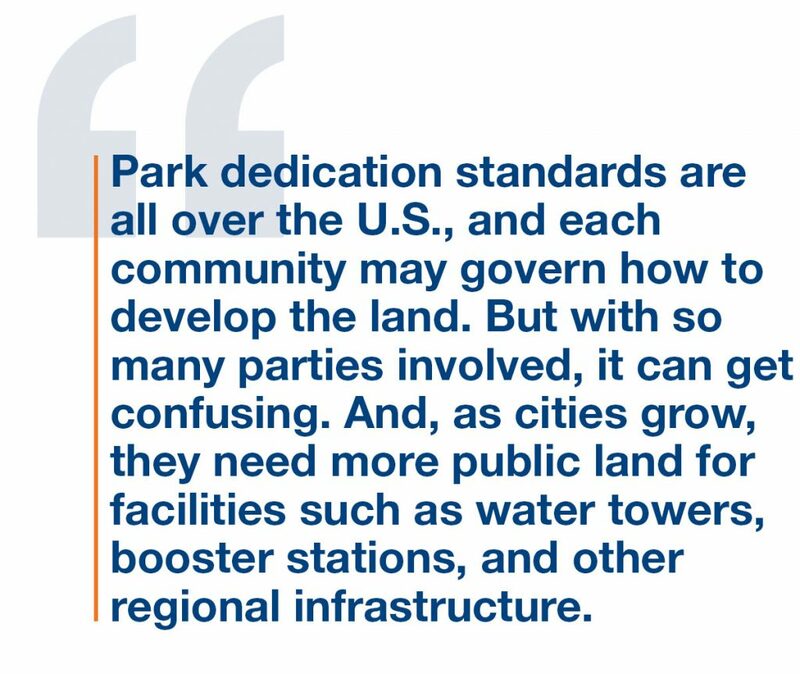 Park dedication standards are all over the U.S., and each community may govern how to develop the land. But with so many parties involved, it can get confusing. And, as cities grow, they need more public land for facilities such as water towers, booster stations, and other regional infrastructure. This is where Moore’s consulting services come in. We can help cities with their ordinances so the community has the public space and amenities it needs. And we can assist developers through the process, making sure they get the best use of their land while meeting the city requirements. 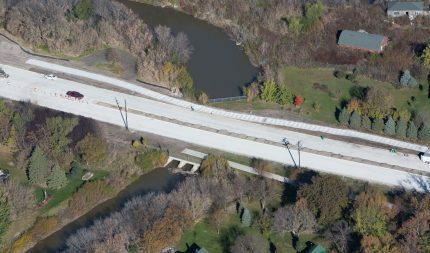 Moore Engineering has helped with all sizes of parks and a variety of budgets. Larger, 80-acre-plus parks serve as a regional draw with features like playgrounds, picnic shelters, ball diamonds, skate parks, sand volleyball courts and open space. We’ve also planned smaller, local parks, and even the smaller parks have special planning. We always research neighborhood demographics and recommend amenities and/or playground equipment to best fit that neighborhood. And that’s the point. Parks attract residents, improve land values and – from an engineering perspective – help manage the runoff. The city, developers and engineers realize the need to work together to encourage active living for healthier communities.